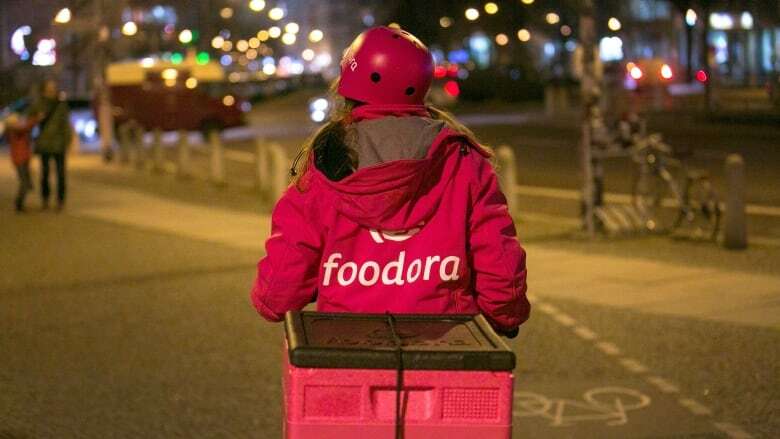 "We are excited about this because it has been in the works for some time," said David Albert, Foodora Canada's managing director. "We always think about what our customers may want and it was quite simple to offer them new options." Foodora's 7-Eleven offering will face competition from a handful of smaller delivery services across Canada that specialize in dropping off packaged junk food, convenience store favourites and everyday essentials. Yumee and E-panneur will drop off items including fresh fruit, gummy bears, lighters and sanitary products to a neighbourhoods in Montreal and Edmonton. L8Nite will bring consumers a wide range of products like chocolate bars, soft drinks, salsa and lozenges. "To us, competition is a good, healthy thing," said Albert. "If no one were trying to do what we were doing it almost raises the question of does this make sense, so we welcome the competition." Like most of Foodora's packaged junk food delivery competitors, the 7-Eleven service won't be available around the clock. It will run on limited hours, usually from 10 a.m. to 10 p.m. or midnight depending on the day and city. "We do have intentions to ultimately be 24 hours, but we have to work within the confines of our current delivery hours," said Albert. "We are currently thinking a lot about what other type of options customers may want, but there is nothing specific I can talk about now."